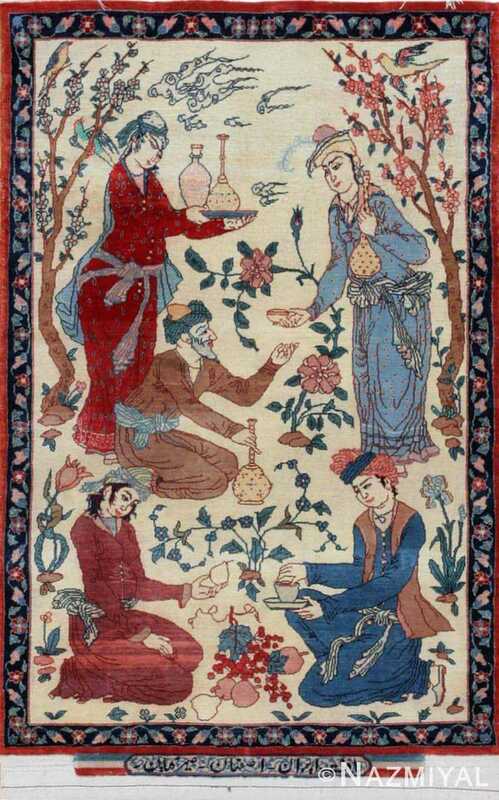 This pictorial carpet from Esfahan features a pictorial scene depicting everyday life in Persia. 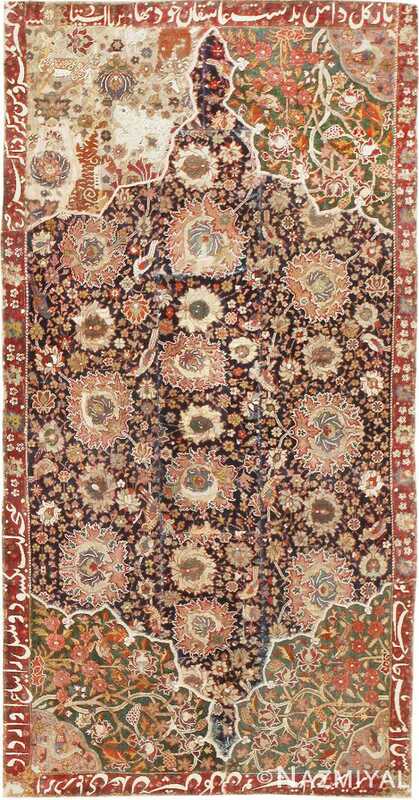 Vintage Persian Esfahan Rug, Origin: Persia, Circa Date: Recently Woven (Late 20th century) – This beautiful and gripping vintage rug – an Esfahan carpet, made in Persia not very long ago. Traditional borders decorated with reciprocating floral motifs frame the detailed scene captured in the field. In the foreground, a couple prepares a fruit beverage while refreshments are served to a seated man in the background. Singing birds, flowering trees, plants and botanical motifs decorate the creamy white field. 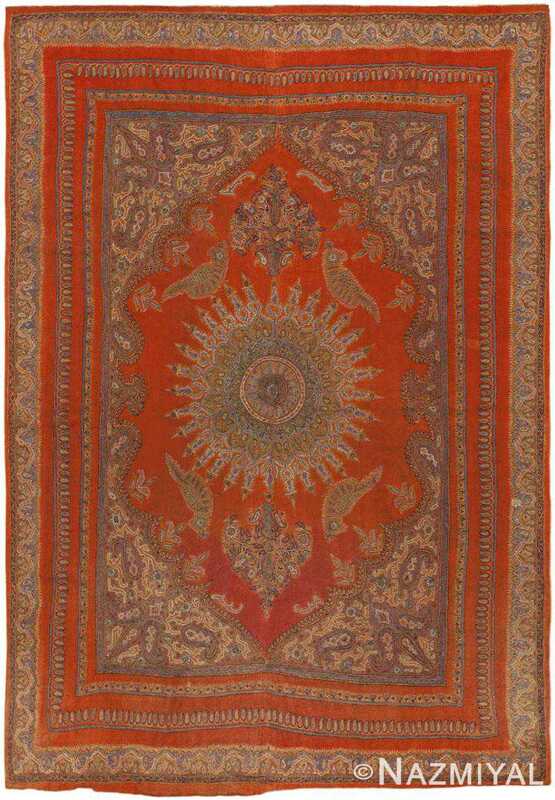 A decorative cartouche featuring a Kufic inscription frames the end of this artisan rug from Esfahan. 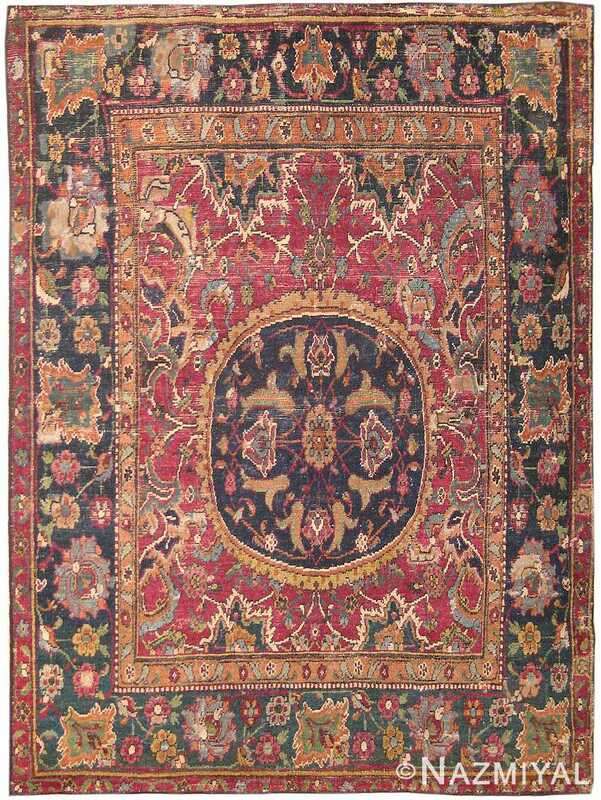 The lovely design and picturesque imagery instantly transform this extremely fine Persian piece into the caliber of a beautiful textile art carpet.